A PG-13 Batman v Superman rating is not necessarily a surprising answer. Every Batman film since Tim Burton’s 1989 version has been given a PG-13, as have both Bryan Singer’s Superman Returns and Snyder’s own Man of Steel. Directed by Zack Snyder, written by Chris Terrio, from a screenplay by David S. Goyer, Batman V Superman: Dawn of Justice is produced by Charles Roven and Deborah Snyder with Benjamin Melniker, Michael E. Uslan, Wesley Coller, David S. Goyer and Geoff Johns serving as executive producers. 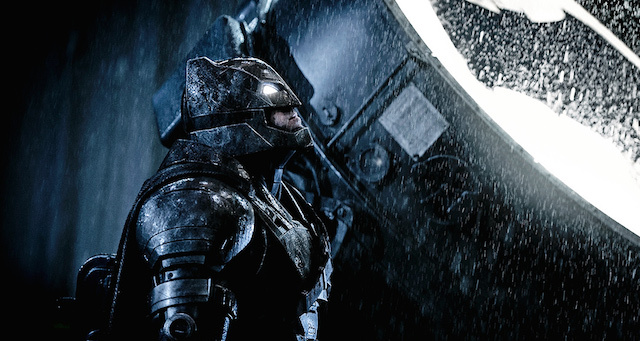 What do you think of a PG-13 as the Batman v Superman rating? Did you expect a different answer? Tell us why or why not in the comments below!